Before the advances of technology and the implementation of debit cards and debit orders families would write out checks for their accounts and have cash on hand for purchases, at the end of each month dad would sit down with a pencil and calculator and balance the check book. These days with varying bank charges and overdraft facilities it is a mathematical nightmare to do a simple check book balance. 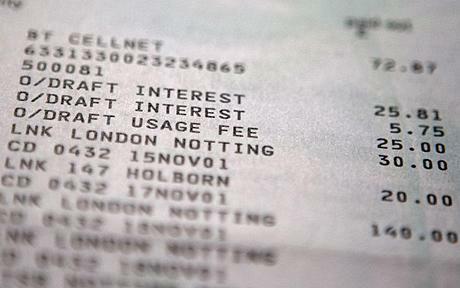 Banks are known to charge additional fees for overdrafts as well as debit card swipes and other services, although the bank charges is how banks make their money, the average family is still landing up with lots of additional charges on a regular basis making it harder for them to make the household income last. The article on Forbes explains how these charges accumulate and land up putting your check account into the red. The best solution is to be fully aware of all the possible charges you could be subjected to by your chosen banking institution and if possible shop around for more suitable charges from other institutions.